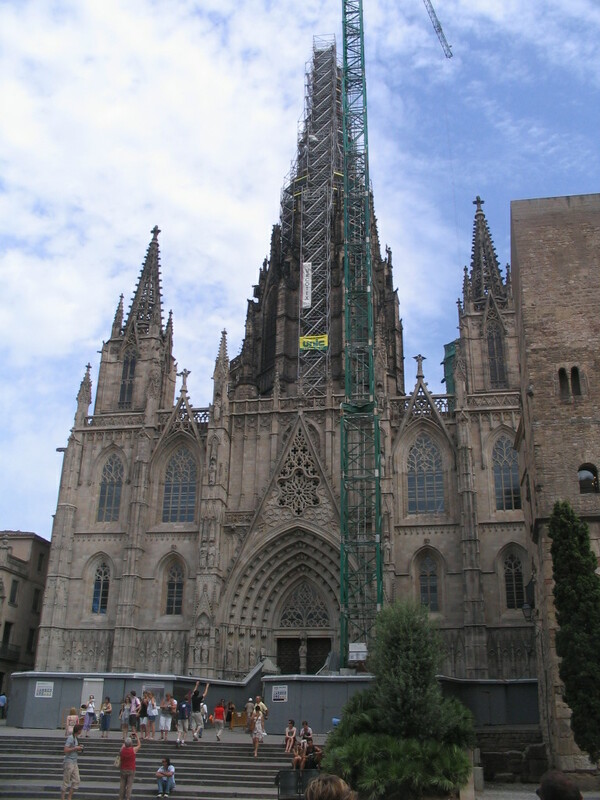 The Catedral was built between the 13th and 15th centuries. 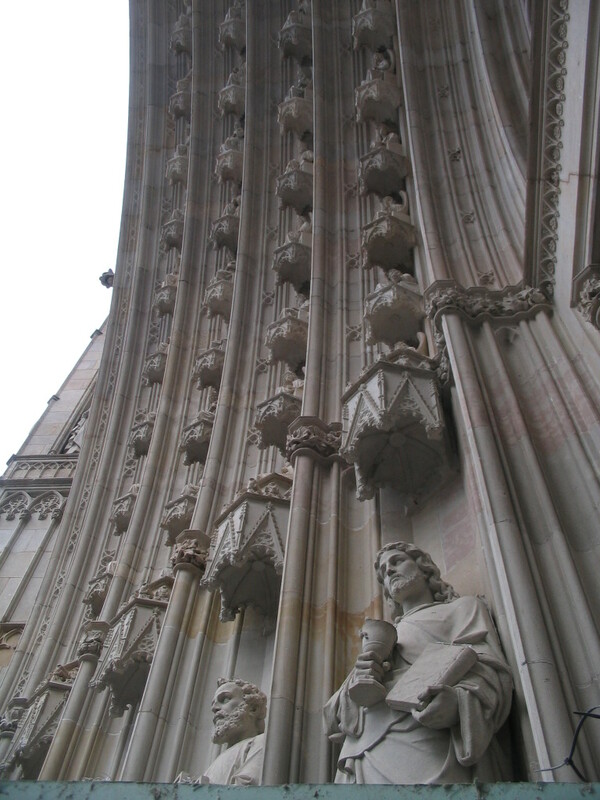 But the façade is a lot newer — it's a 19th–20th-century neo-Gothic embellishment of the formerly plain exterior. 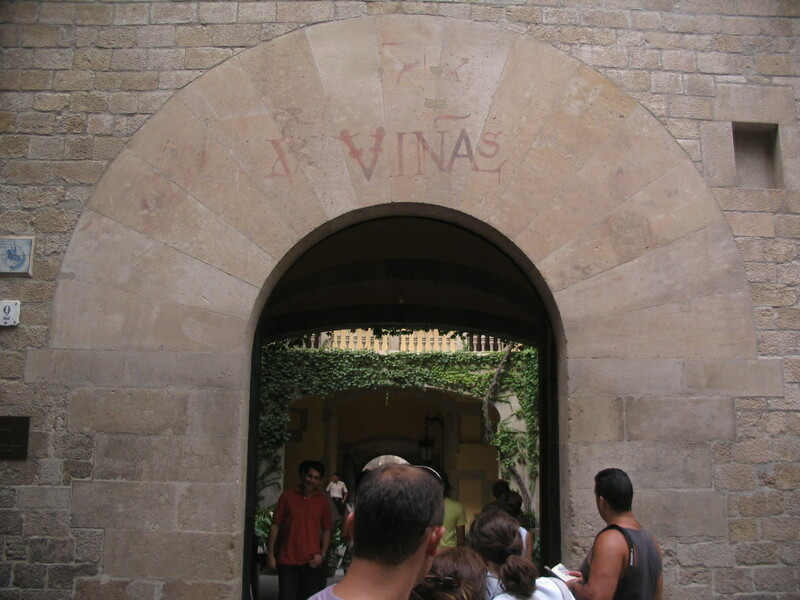 But even if the façade isn't really authentic, it's still lovely. 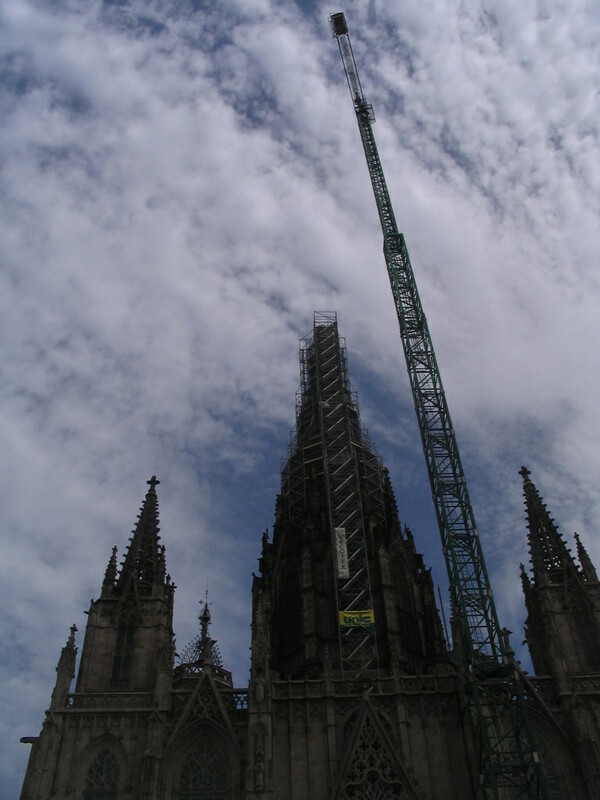 The crane outdoing the Catedral itself at reaching for the sky. 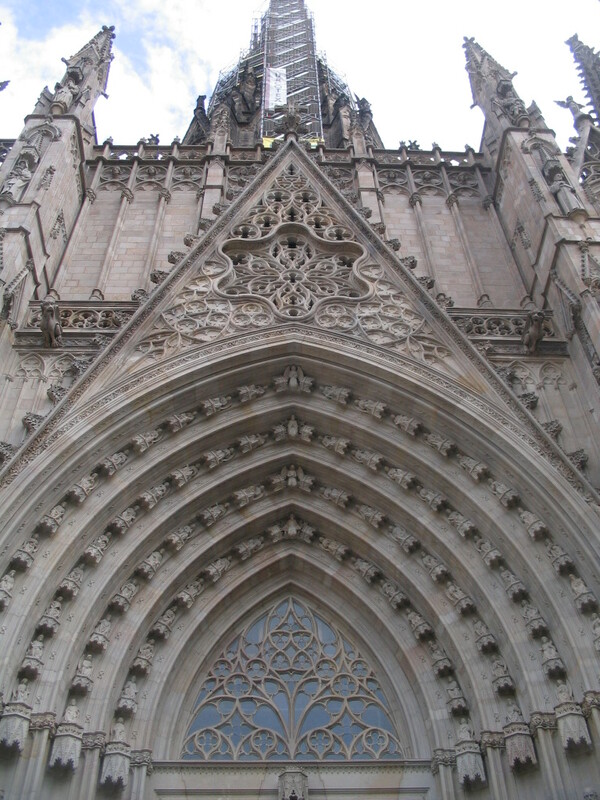 Next to the Catedral, to its northeast along Av. 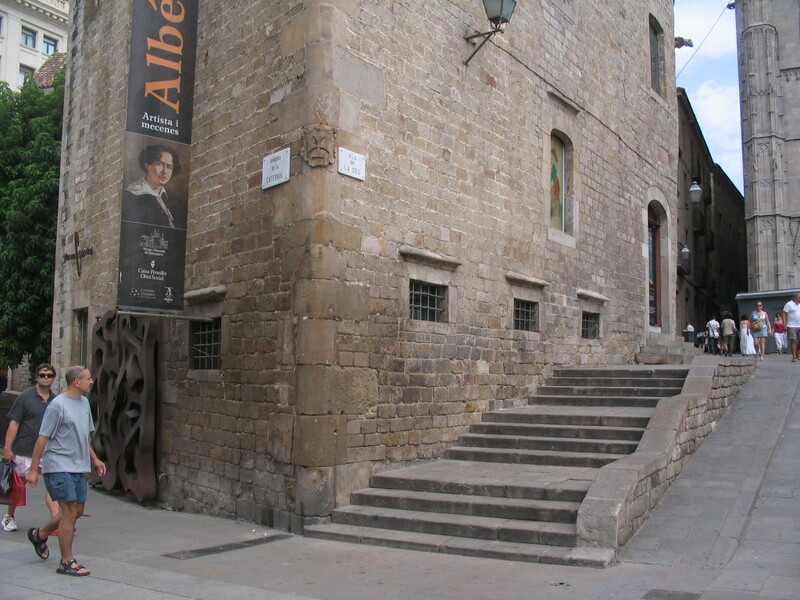 de la Catedral, is the Museu Diocesà. Upon closer inspection, some of the shapes in the façade do seem like clear neo-Gothic innovations, such as the wavy hexagon. But I dunno, maybe there were some wavy hexagons back in medieval times too. For some reason, just as with Cases Milà and Battló, I did not enter the Catedral; but here's a look at the nave's vault, at any rate. 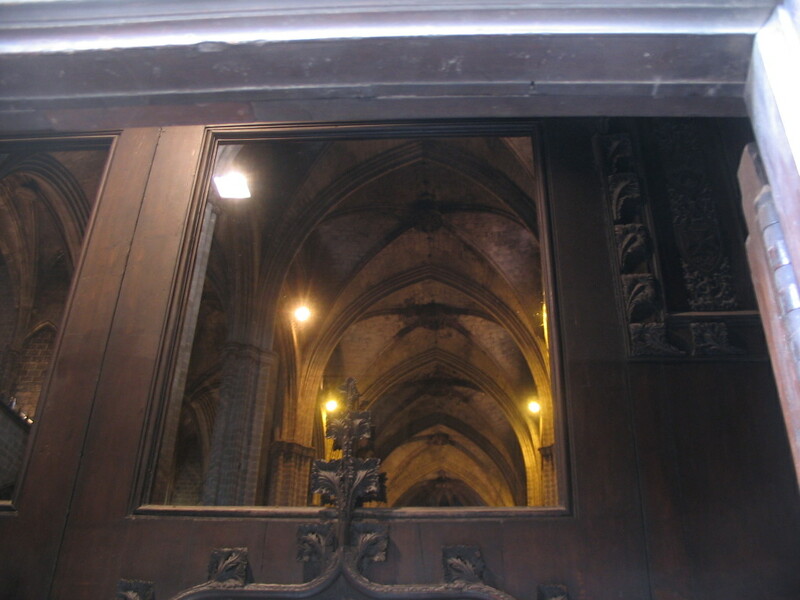 "Gaudí" lurks threefold in the upper gallery of the Museu Diocesà. 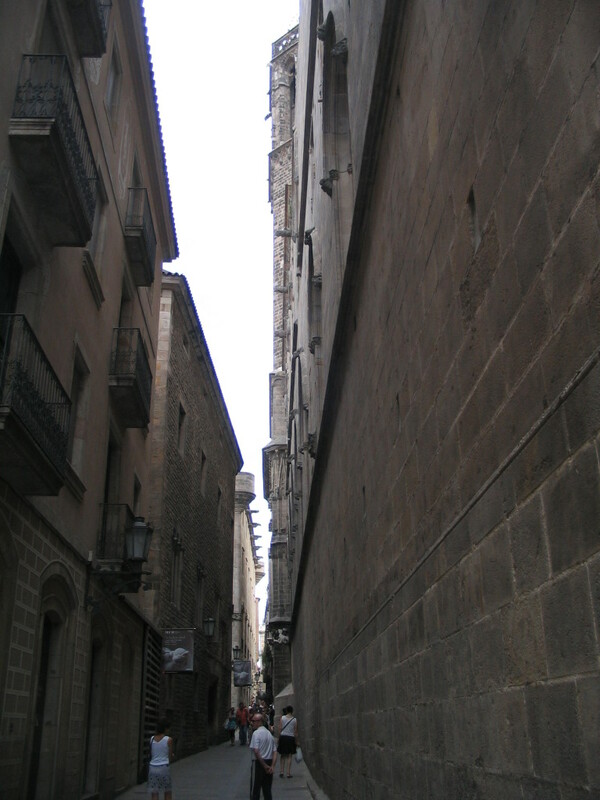 The northeast wall of the Catedral at right, packed in along Carrer dels Comtes. This whole area was part of the Roman settlement Barcino, as see on this map, and is therefore part of the city's Roman Quarter. 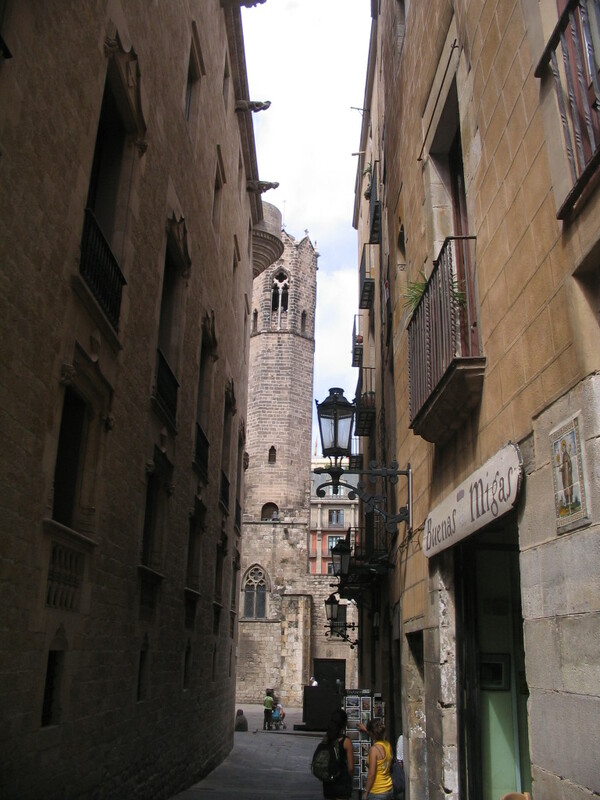 The Roman Quarter is not a separate neighborhood, though, but rather a large part of the Barri Gòtic (Gothic Quarter), the central neighborhood of the Ciutat Vella. 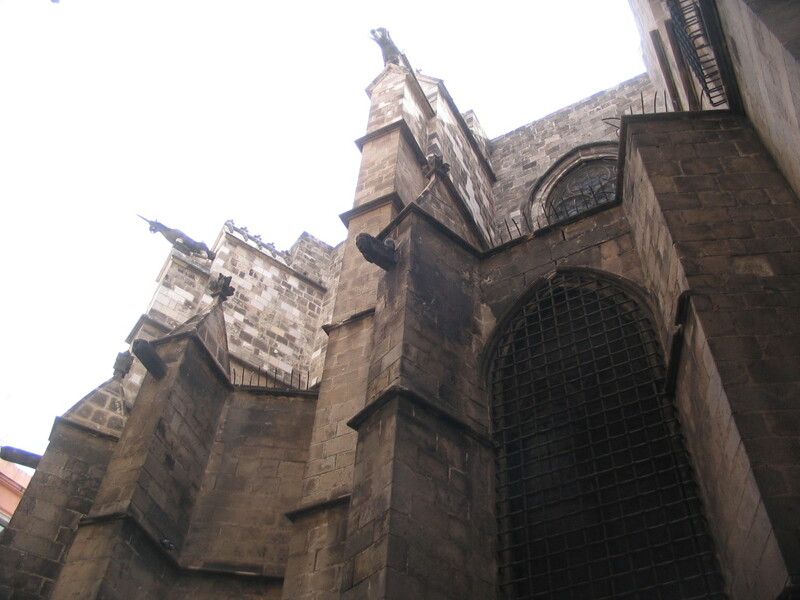 The complex buttressing around the apse of the Catedral. 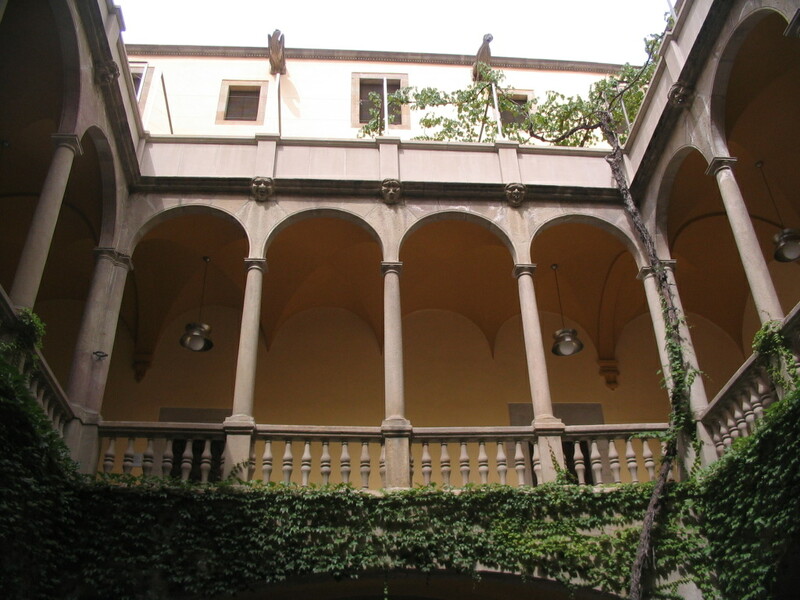 Just across from the apse to the northeast is the 16th-century Palau del Lloctinent (Lieutenant's Palace), part of the Palau Reial Major (Grand Royal Palace). I love the depth and smoothness of the arch's voussoirs. 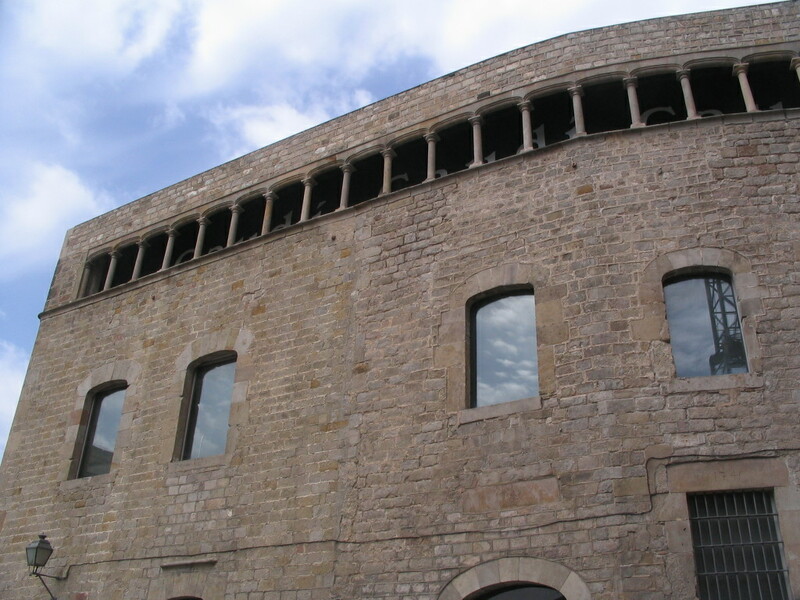 The courtyard of the Palau is lovely overall, but a particularly elegant detail is the orange vaults terminating as simple cusps at the back wall. 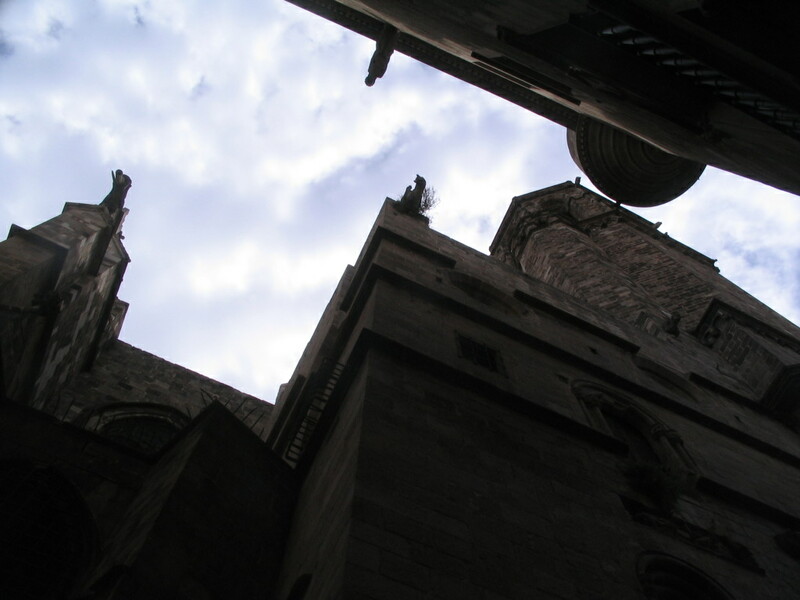 The eastern edge of the Catedral from Carrer de la Freneria. Tutti frutti! 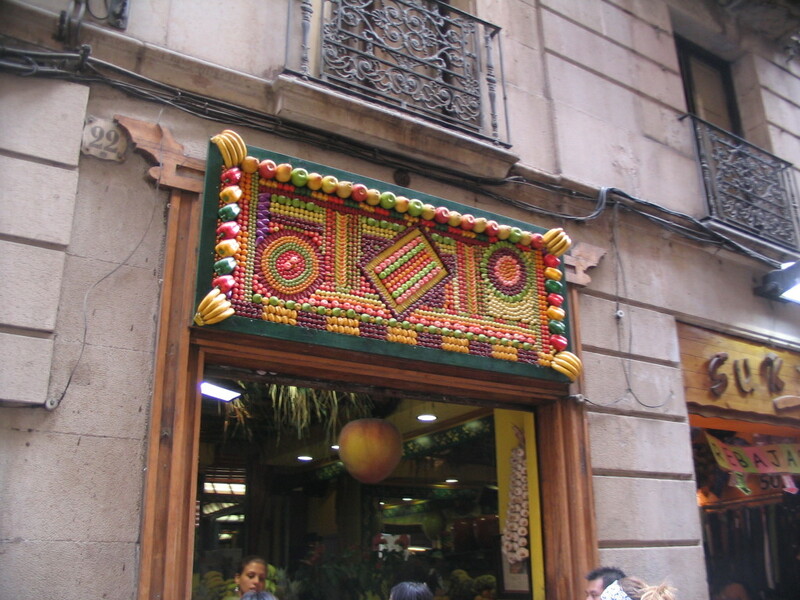 This is on Carrer Llibreteria near the intersection with Carrer de la Freneria.